Do you know what’s missing from all our visions of a futuristic utopia? Wires. You never see anyone fumbling with a cable to plug in an Android phone or iPhone. Everything just magically works. 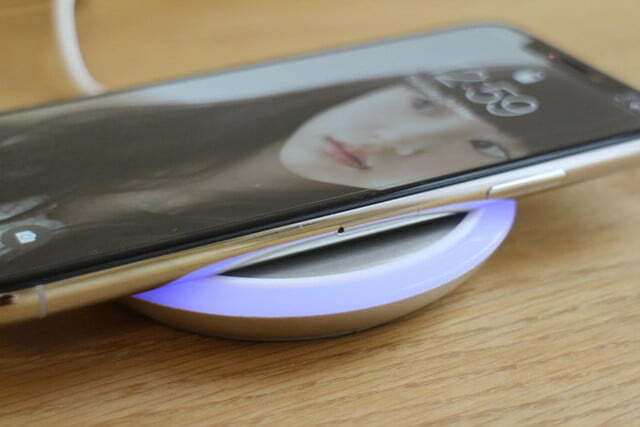 We’re not there yet, but wireless charging technology is improving all the time. Leading the way toward this brave new world are wireless phone chargers. They’re not entirely wireless, because they still have to be plugged into a wall outlet, but they do free you from your nightly plug-in. You can just pop your smartphone on a pad, and know that in the morning it will be good to go. 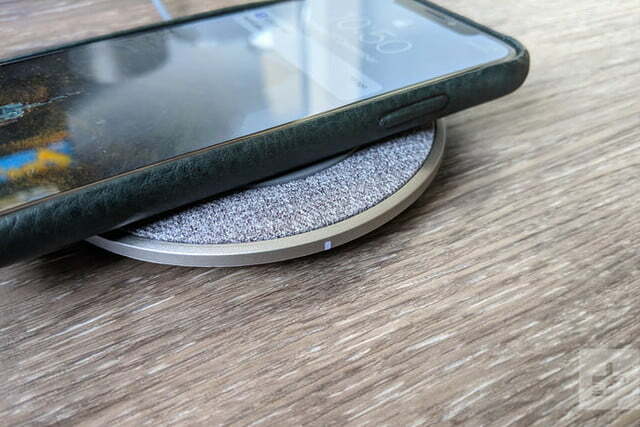 Before you splurge on a wireless charger, though, make sure that your phone supports it. Loads of phones do now, from the iPhone XS and Galaxy S10 to the Pixel 3. For smartphones that don’t, like the Google Pixel 2, you need to buy a special replacement back or a case that enables wireless charging. 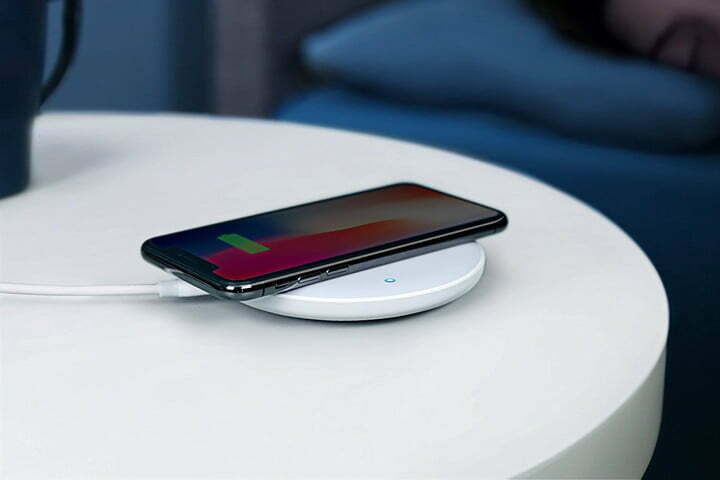 There used to be a couple of competing standards, but choosing a wireless phone charger is relatively straightforward now that Qi, backed by the Wireless Power Consortium (WPC), has won out over rival Powermat. 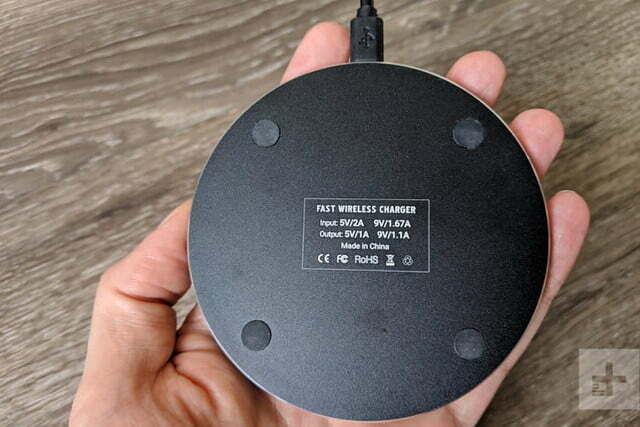 Here’s a list of the best wireless phone chargers for Android devices and iPhones. 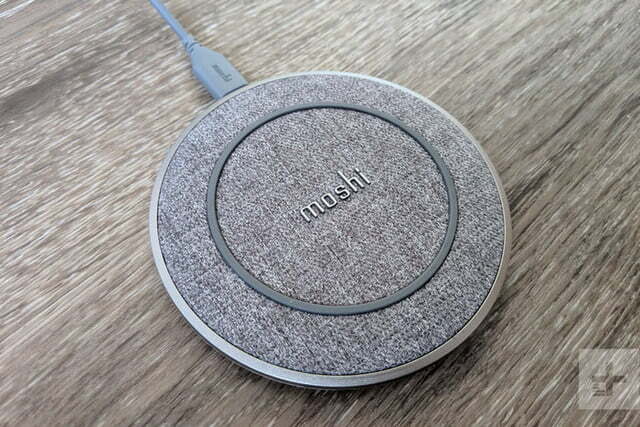 We like the style of this wireless charging pad from Moshi. It has a practical, gray fabric finish with a silicone ring in the middle that ensures your phone won’t slip off the sweet spot. Functionally it can put out up to 10W, so it will fast charge a Samsung Galaxy or an Apple iPhone at their top speeds of 9W and 7.5W, respectively. It comes with a 3-foot, gray, plastic USB-C to USB-A cable, but sadly there’s no wall charger in the box, so you’ll need to pair it with one rated at 12W for best performance. 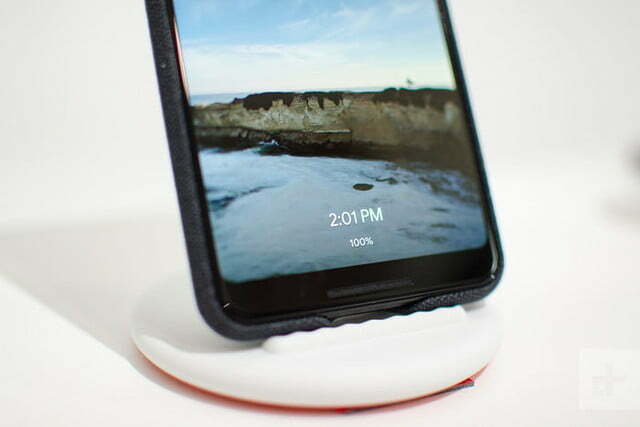 Although small and light, the bottom of the charging pad is silicone and it grips well on most surfaces. The finish on the top is ideal if you don’t like to cover the glass back of your phone with a case, as it both pads and grips the back of your phone. It can also charge through most cases without issue. There is a small, white LED on the front which pulses gently when charging and stays lit when your phone is fully charged. It’s not too bright compared to some others, but you might want to make sure it faces away from you if you’re placing it on your nightstand. The Google Pixel Stand is capable of charging smartphones that support Qi wireless charging, including the latest iPhones, at top speed, thanks to the included USB-C to USB-C cable and 18W USB PD power adapter. It’s made of polycarbonate and soft silicone with a base that grips on any surface, so it won’t slide around on the nightstand. The white finish is unobtrusive, so it should blend into any environment. You can prop your phone up on this stand in landscape or portrait view and it will charge because there are two coils inside. If you’re the lucky owner of a Pixel 3 or Pixel 3 XL, then the Pixel Stand offers some tempting extra features. 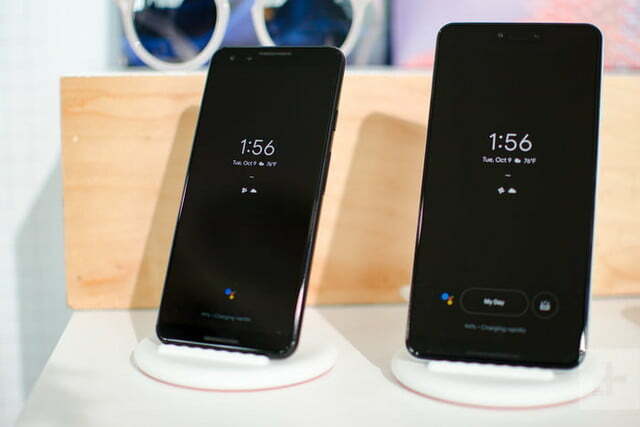 There’s a microprocessor inside that recognizes your Pixel phone, and you can configure the stand through your phone’s settings, ensuring it automatically goes into Do Not Disturb mode or acts as a digital photo frame when you place it on the stand. 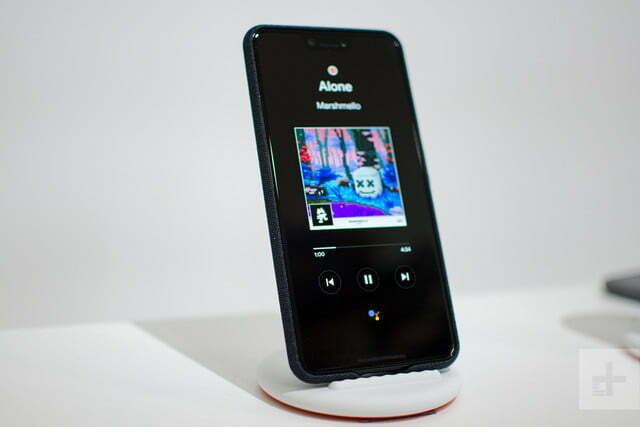 If you play music, the music controls and album art will appear on screen (you can also use Google Assistant), and there’s a special Sunrise Alarm that uses light from your Pixel phone’s screen to wake you more gently than a traditional alarm. If you don’t have a new Pixel phone to take advantage of the special feature here, then you’re probably better off snagging something cheaper. Not all wireless chargers have to be used at home. 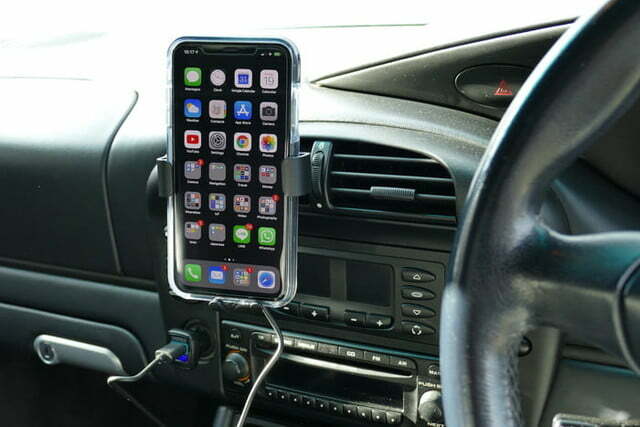 We like this in-car alternative because it does two jobs — we have somewhere to put our phone so we can see Google Maps, and it charges the device at the same time. 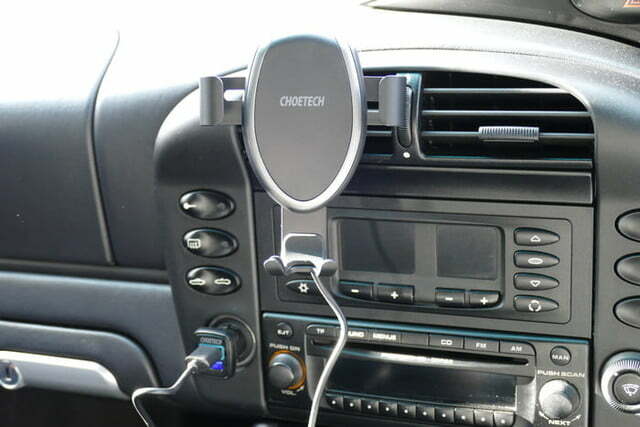 The Choetech mount is not too large or heavy, and the air vent grip is strong enough to support a heavy phone. We have been using it with an iPhone XS Max, and it has been held securely in place, plus it operated with the phone in a regular case too. The wireless holder costs $41, and we paid $14 for the charging adapter. 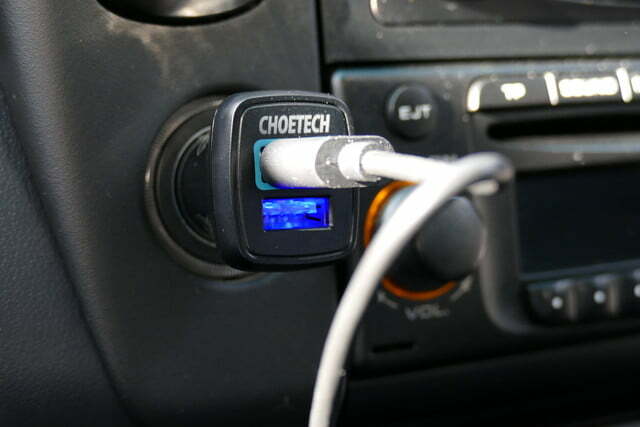 To enable the wireless charging, you have to plug a Micro USB cable into the holder and then into a cigarette lighter adapter. 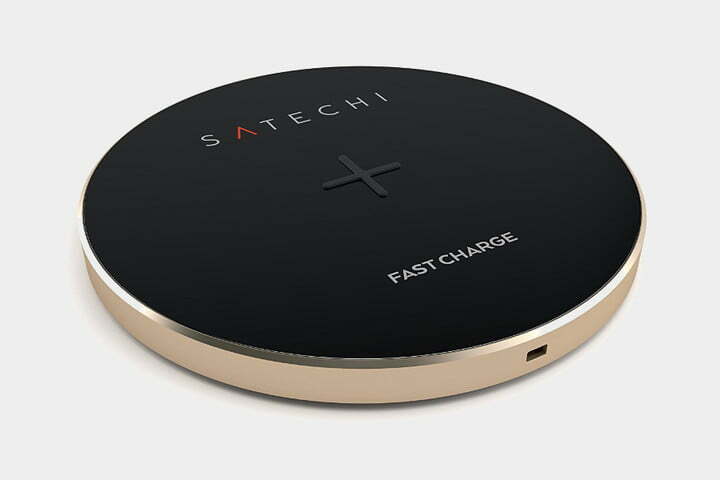 Choetech recommends its own Qualcomm Quick Charge 3.0 adapter, which has two outlets for convenience, but if you already have one there’s a good chance you won’t have to buy another. For us, the system worked every time, and kept the phone topped up even when using GPS. The lighter adapter did get warm, as did the back of the charging unit, but neither dangerously so and no more than we’d expect for a charger in the car. The mount has all the expected safety features to prevent overcharging and overheating. The only question is where to stuff the excess amount of cable, an issue not unique to this product. 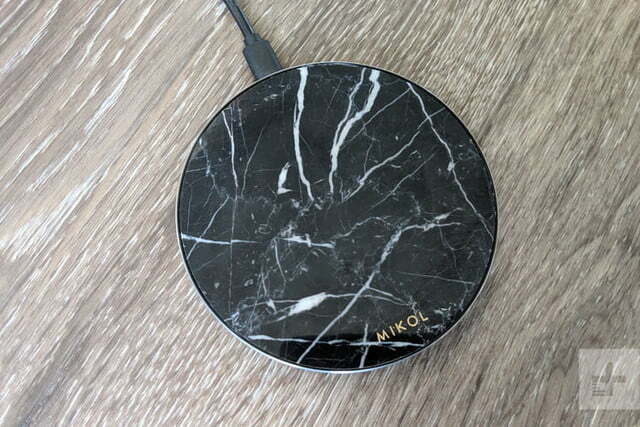 If you’re horrified by the prospect of an ugly plastic puck or stand cramping your home’s style, then Mikol’s marble wireless charging pad could be right for you. 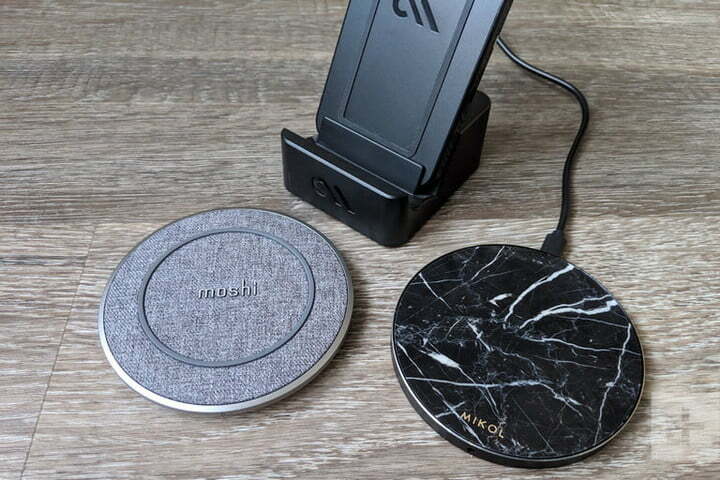 This wireless charging pad features black, white, or green marble, with unique, contrasting vein patterns for an opulent look. The solid casing is a metal alloy. It’s capable of fast charging a Samsung Galaxy phone, but you will need to pair it with a fast wall charger as you only get a Micro USB to USB-A cable in the box. 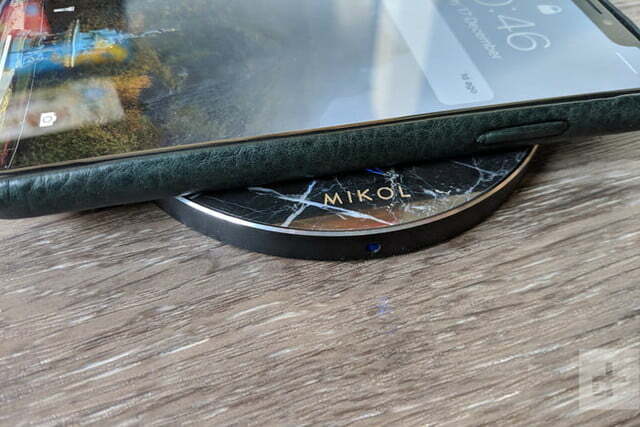 There are four rubber feet on the bottom of the Mikol pad, which help to prevent it from sliding around, however, the marble surface is a bit slippery, so if you don’t use a case with your phone to give it some grip, then this pad isn’t recommended. The color LED which indicates when it’s charging, shines through the marble, but also out the front and we found it a bit bright for the nightstand. At the very least you’ll want to angle the light away from you. While it does boast a luxurious look, this pad is very expensive — $69 is a sale price from the normal $104. 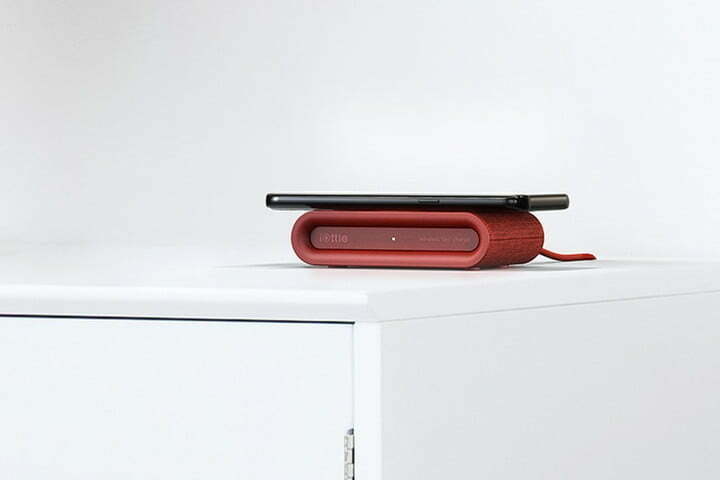 It’s not the most stylish wireless charger we’ve ever used, but Case-Mate’s Power Pad is extremely versatile. 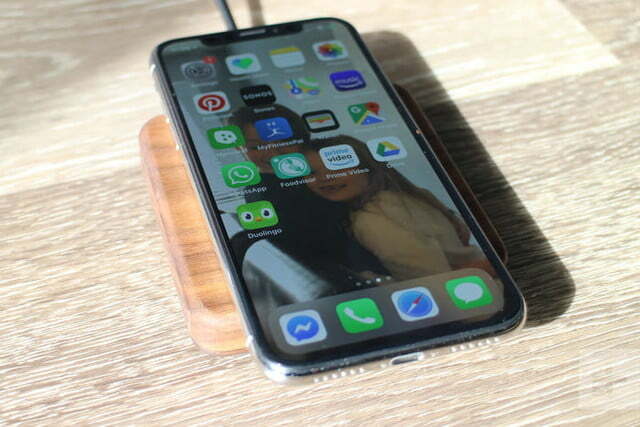 This rectangular pad comes in black or white and offers Qi wireless charging, including fast charging at 9W for Samsung smartphones or 7.5W for Apple’s iPhones — we tested both and it works as expected. The cable is attached to the pad and plugs into the 18W Quick Charge wall adapter that comes in the box. We got the version with the stand which allows you to prop your phone in portrait or landscape while it charges. The pad has a nonslip, rectangular, TPU strip to hold your phone securely in place and there’s a simple white LED on the side to indicate that it’s charging correctly. There’s a small wee insert so you can adjust the stand position for your phone. Both the pad and stand have feet and seem to be sturdy enough that they won’t slide around. 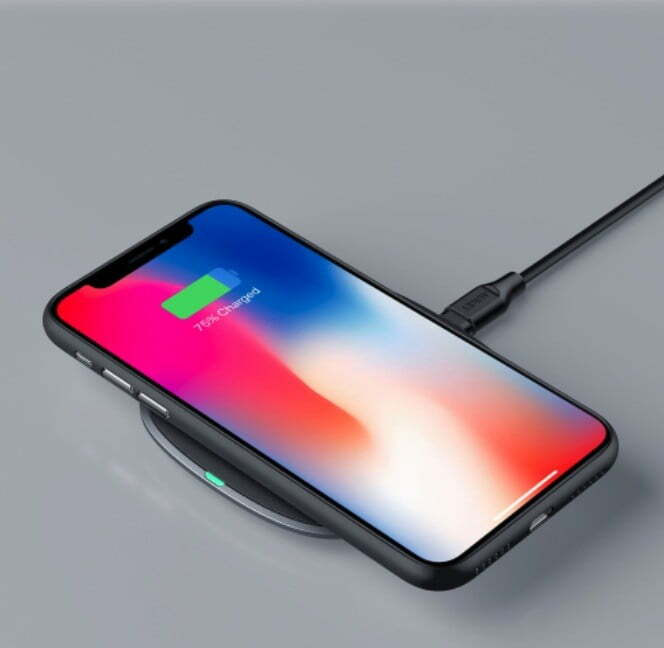 The Power Pad will still charge your phone if it has a slim case on, but thick cases are going to cause a problem — as they do for all wireless chargers. It’s quite an expensive option, but if you want the ability to switch between a pad and a stand, it may suit you. The option to charge in landscape is rare. Native Union brings its unique sense of style and design to the world of wireless chargers, and we love how the eye-catching look isn’t just for show, as the ridges are grippy rubber, making them perfect for keeping your phone securely in place. The aluminum body has a circular rubber foot underneath too, along with a small LED indicator on the side to show charging status. The cable supplied is one of Native Union’s excellent braided versions with a USB Type-C connector, and at 6.5 feet long it’s easy to move the charger around if you’re not close to an electrical socket. The charger sends up to 10w of energy through the phone — around three hours from zero to full capacity on an iPhone, according to Native Union — and has happily worked with all but the most rugged cases we’ve tried. It also promises excellent temperature management to maintain fast charging and to keep things safe. It’s not cheap, but we like the design and appreciate the simplicity. However, it’s the fast charge system that makes us recommend the Drop Wireless Charger. 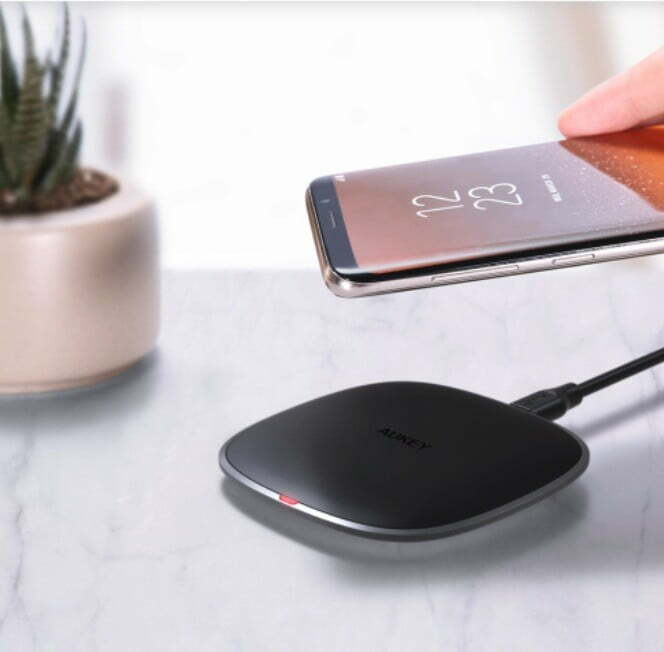 The Anker PowerWave Pad can output up to 10W for fast wireless charging of phones like the Samsung Galaxy S9, but it can also charge the iPhone X at 7.5W, so you should get top speed out of this pad regardless of your phone. The white disc design is fairly unobtrusive and there’s a decent weight, so it shouldn’t slide around on your desktop. There are an LED indicator and a fan inside, which is great for keeping your phone cool, but is definitely audible at times, so we wouldn’t recommend this pad for the nightstand. We’re pleased to find that Anker has included, not just a decent 3-foot PowerLine Micro USB cable in the box, but also a Quick Charge 3.0 adapter. That means you have everything you need out of the box. Anker’s build quality is always excellent and this pad is no exception. If you prefer to be able to prop your phone up while it charges Anker does also offer the PowerWave Stand at $50, which is identical in terms of functionality. What could be more unobtrusive than a simple block of wood? 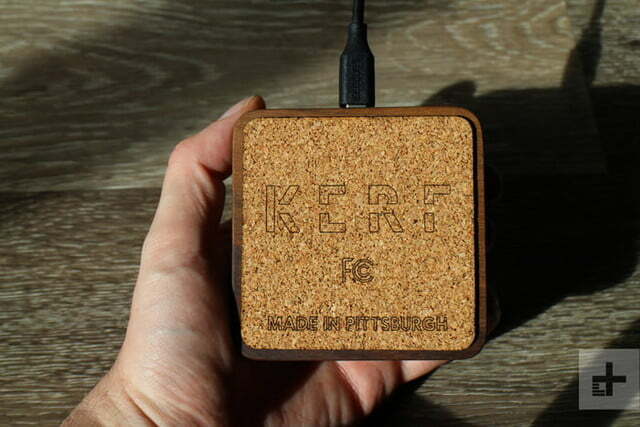 The Kerf Wireless Charging Block blends seamlessly with any decor, finished in your choice of wood, from the walnut pictured to maple, canarywood, padauk, and the list goes on. This charger can go up to 10W, which means it can charge your Samsung Galaxy or iPhone at top speed. Unusually, it has a USB-C port to plug in and it supports Qualcomm 2.0 and 3.0 fast charging, so it may be able to deliver a higher wattage in the future as standards advance. These gorgeous hardwood blocks are made in Pittsburgh and they have a cork base to help prevent them from sliding around. There are no superfluous details here, just beautiful natural wood. The lack of an LED also makes this charger an ideal choice for the nightstand. 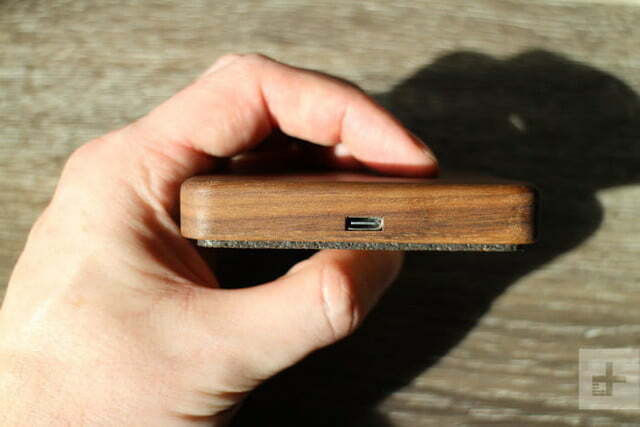 If you just want the charging block, then it costs between $39 and $139 depending on the wood you choose. You can also choose to add a USB-C cable and power supply for an extra $20 and there’s an option for custom engraving. 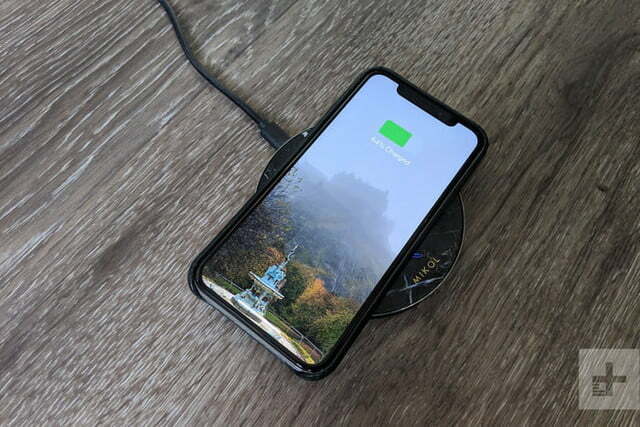 This is another versatile wireless charging pad that can output 10W or 7.5W ensuring that you get the top charging speed possible, whether you have an Apple iPhone X, Samsung Galaxy S9 Plus, or something else. With an unusual shape and fabric covering that comes in red, gray, or white, this is an attractive device that really stands out from the crowd. There’s an unobtrusive light in the recessed front and plenty of ventilation to keep the temperature down. There’s a USB-C input and we’re glad to find that iOttie includes a 4-foot USB-C to USB-A cable and a power adapter in the box. Interestingly, there’s also a USB-A port on the back that you can use for wired charging if you have another cable handy. If you charge two phones (wirelessly and wired) at the same time then the speeds will be a bit slower as the capacity is split between them, but the USB-A port can go all the way up to 12W when used alone. If portability and power are your two primary considerations when choosing a wireless charging pad than Aukey may have the perfect solution. The Aukey Graphite 10W Wireless Fast Charger is one of the most portable pads on our list that packs in 10W of power. At just 3.4 x 3.4 x 0.5 inches the Aukey Graphite 10W Wireless fast charger is easy to fit into a bag, or even your pocket. And since it packs 10W of charging power, it can quickly charge both Samsung Galaxy handsets or the Pixel 3 or 3 XL at 10W and iPhones at 7.5W. In the box, you’ll find the wireless charging pad and a Micro USB charging cable along with the user manual and warranty card. On the front of the charging pad, you’ll find a small LED light to let you know when your device is charging. The top of the charger has a rubberized coating to prevent slips, while the bottom is constructed out of surprisingly heavy aluminum. You’ll also find four rubber feet on the bottom of the charger to prevent slipping and furniture scratches. 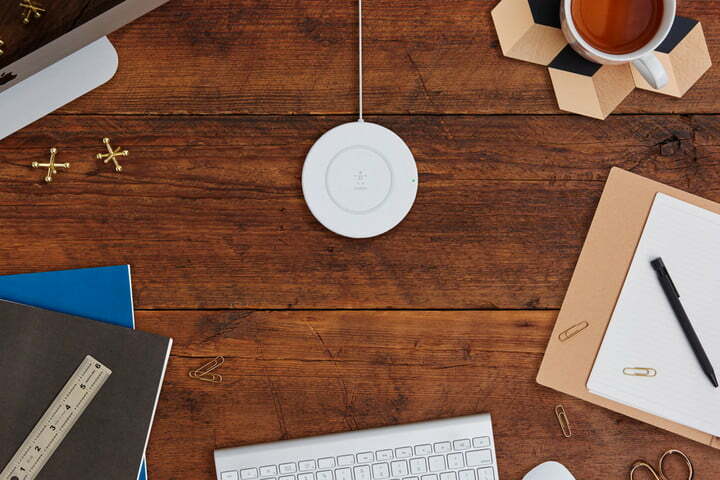 Belkin’s BoostUp Wireless Charging Pad is tailor-made for on-the-go fast charging. It supports the Qi wireless standard and can deliver up to 7.5W of continuous power to any phone, tablet, or smartwatch that’s certified to support fast-charging Qi. It’s even strong enough to charge through cases 3mm thick, which means you don’t have to worry about ripping the case off your device every time you plop it down to charge. Belkin didn’t cut corners on the charger’s design, either. The BoostUp’s circular charging pad may not be the smallest we’ve seen (7.5 x 1.75 x 5.5), but it detaches from the included AC adapter, making it easy to stuff into a crowded bag. Other nifty touches include an LED status indicator built into the base, and a quick start guide that shows you how to orient your phone or tablet properly on the pad. 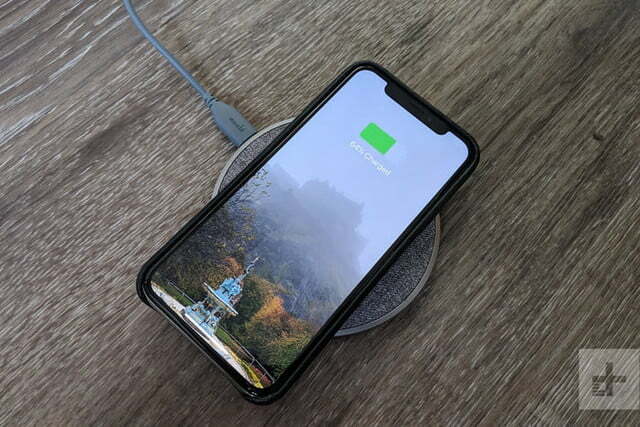 RavPower’s Wireless Fast Charging Pad is a Qi-compatible charger that works with Android devices, smartwatches, and Apple’s latest iPhones (the iPhone 8, 8 Plus, X, XS, XR, and XS Max), and can output up to 10W of power for top charging speeds. The RavPower charger’s other conveniences include a Qualcomm QuickCharge 3.0-compatible MicroUSB cable that works with supported devices, and built-in protection against short circuits and voltage surges. It’s not going to win any style competitions, but when we tested out three wireless charging pads head-to-head with the iPhone 8, this pad was the winner. It was the fastest, most portable, and best value option. Is it really possible to get a wireless charger for $13? Yes, and what’s more, it’s not entirely bare-bones either, with a really cool little feature that many will welcome. 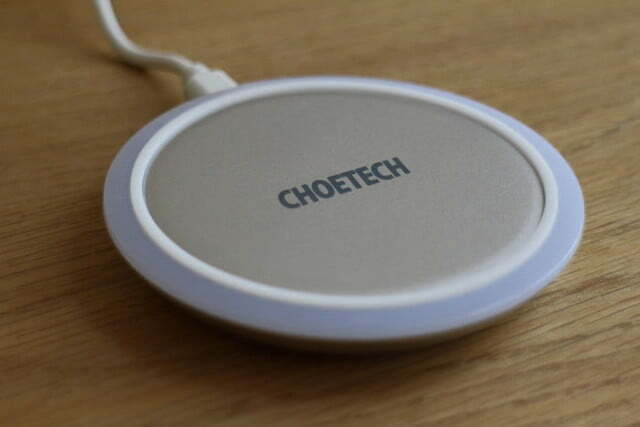 You may know Choetech from its range of cables and other phone accessories. 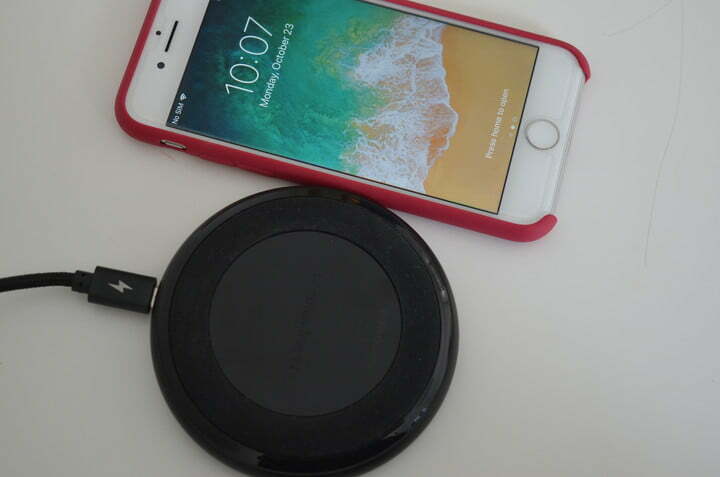 This is its aluminum wireless charger that’s compatible with the Qi system, and therefore the iPhone and various Android devices. The metal body helps keep the temperature down, along with internal heat management tech that ensures it’s safe. The charger has a cool glowing ring around the edge to show it’s working, which is great during the day, but not always great at night in a dark room. The charger has a light sensor inside that automatically reduces the brightness when darkness falls. It worked well in our test and stopped the charger from being a pain when used next to the bed. The charger comes with a long Micro USB cable, but doesn’t support fast charging. You can’t have everything at this price. 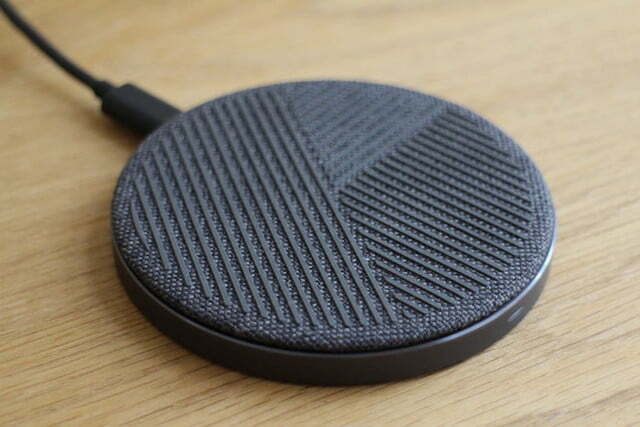 If you’re after something light and truly portable, then this wireless charging pad from Bezalel should tempt you. 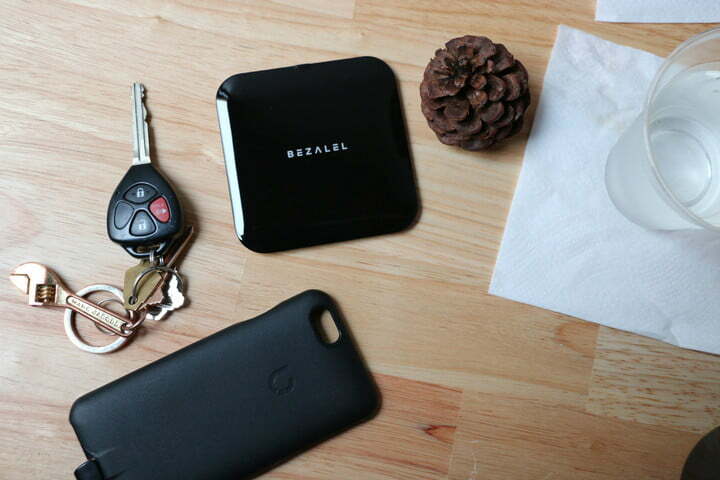 It will charge any Qi-compatible device, from an iPhone X to a Galaxy S9, but Bezalel also sells cases to bring wireless charging capability to older smartphones like the iPhone 7. The glossy pad is made from premium materials with an aluminum base and an elegant acrylic surface that comes in black or white. It is magnetic, and the cases are designed so your phone naturally slides into the right spot for charging. For just an extra $10 you can get the stand, which enables you to slot the charging pad in and prop your phone in either landscape or portrait view while it charges. You get a cable with the pad, but you’ll need to supply your own wall charger. For best results use the charger that came with your phone. This version has a maximum output of 5W, but there is a Futura X Turbo for $60 that goes up to 15W output for fast charging devices that support faster speeds. The stylish look makes this stand out from the wireless charging crowd, but we also appreciate the internal cooling system. 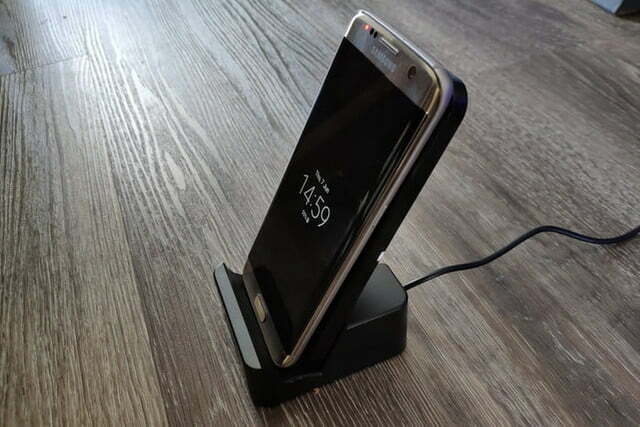 If you’re looking for an alternative to Samsung’s official wireless charging pad that supports faster charging for the newer members of the Galaxy family, including the S9 and S9 Plus, then this could be it. The design is stylish, with a circular metal frame in gold, silver, rose gold, or space gray. The pad itself is shiny black or white, but thankfully there is a rubber cross in the center which protects your phone and prevents it from sliding around. There are also pads on the bottom so it grips the table top. It works fine with most cases and will charge any Qi device, but fast charging devices like the Galaxy S9 will enjoy 1.4X the usual speed. There’s a LED that lights up blue when the device is charging and turns green when it’s fully charged. 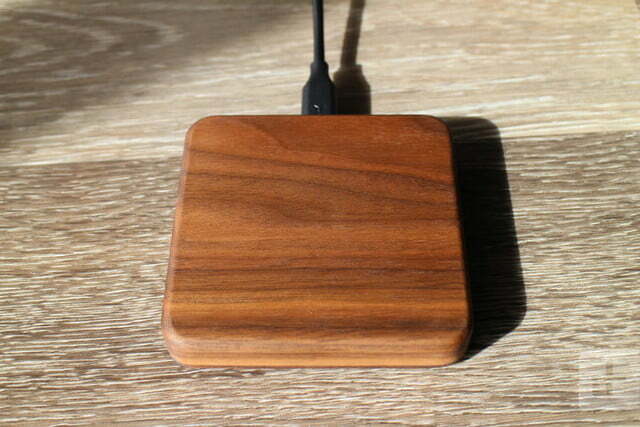 We’re not a big fan of LEDs on charging pads, because you don’t want a light on the nightstand and it seems superfluous, since your phone already indicates when it’s fully charged, but at least this is a small one. You get a decent Micro USB cable in the box with it, but you’ll have to provide your own charger. 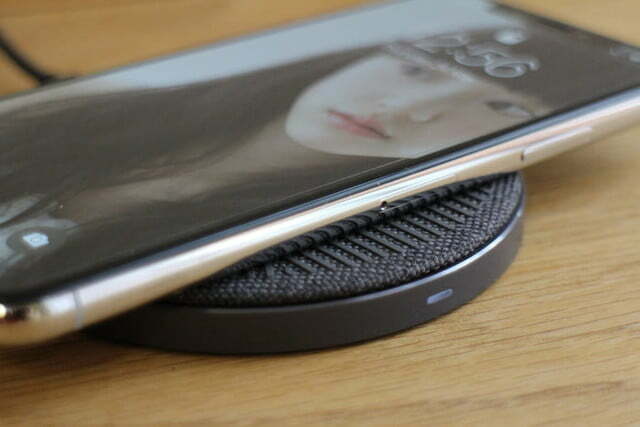 Samsung’s redesigned fast wireless charger is a solid choice. If you have a Note 5, or a later Samsung flagship such as the S9, you can use it to quickly charge your device without a cord. 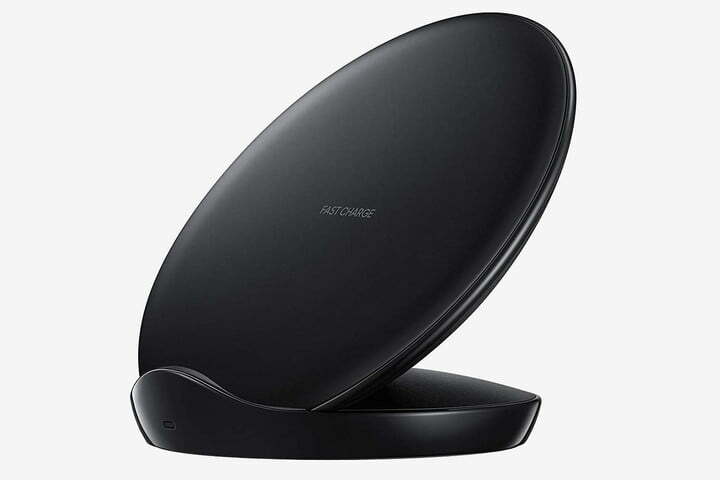 It’s capable of fast charging at up to 9W, instead of the standard 5W you get from most wireless chargers, making it around 1.8X faster, at least according to Samsung. It’s a cradle design with a dual coil, so you can prop your phone up in landscape or portrait and it will charge. 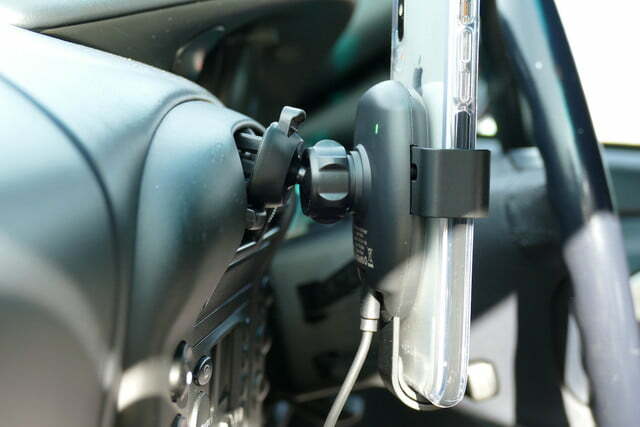 There’s also less risk of your phone sliding out of position if it gets bumped. The LED is, unfortunately, quite bright and it shines blue when charging and green when fully charged. It also flashes when there’s a problem. Because the pad can charge supported phones faster, there’s a silent fan inside to help keep the temperature down. You’ll also have to use the fast charger and USB-C cable supplied if you want the faster speeds, but you can use this pad with other Qi charging devices for standard speeds. You can get this charger in black, blue, or white. The recommended retail price is $70, but this is frequently discounted, so don’t pay full price. 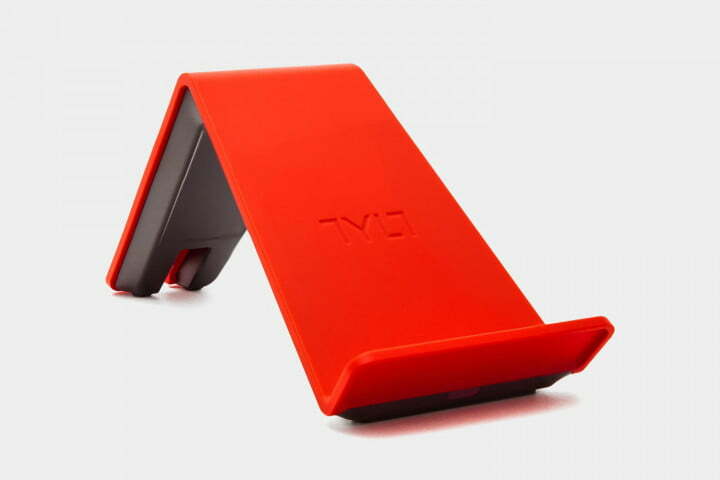 As far as we know, TYLT was the first manufacturer to offer wireless chargers with this tilted, 45-degree cradle design, which allows you to see your phone more easily than if it were lying flat. 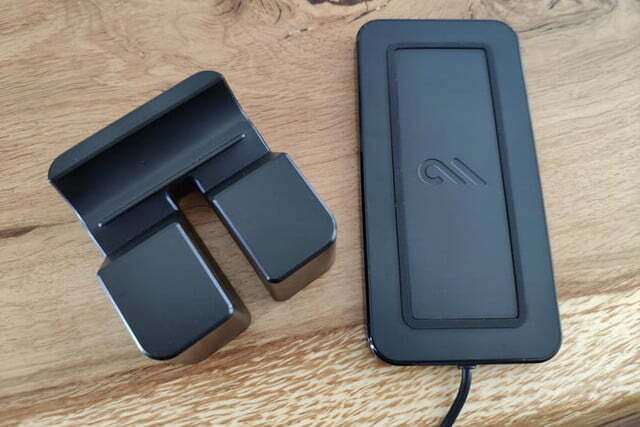 The VU is a Qi charger with three coils inside, so you can put your phone on the cradle in portrait or landscape mode and it will still charge. There’s a single LED under the lip of the stand which goes green to indicate that it’s charging. However, this charger is a bit on the expensive side, the power adapter is ugly and chunky, and some people have found that the pad can produce a lot of heat. The bright, plastic design is available in blue, green, and red, or you can go for black if you want something a bit more subdued. It also has a nice, soft-touch finish. We like the distinctive design, but it will take up a bit more space than a simple pad. 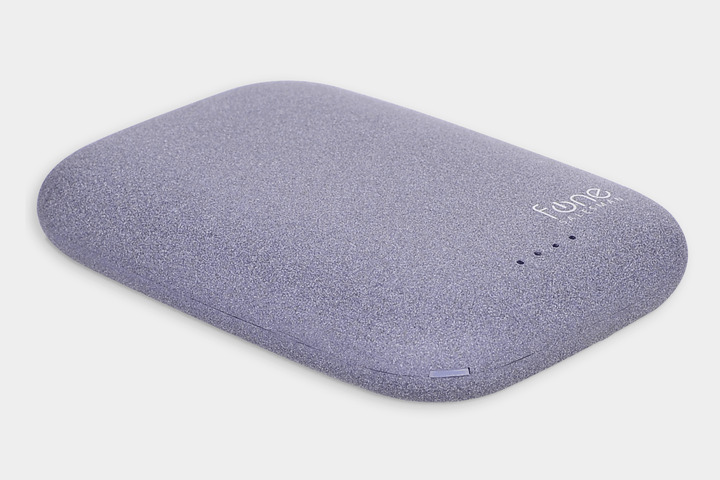 The QiStone+ from Fonesalesman is a smart, wee device that pushes wireless charging to the next level. 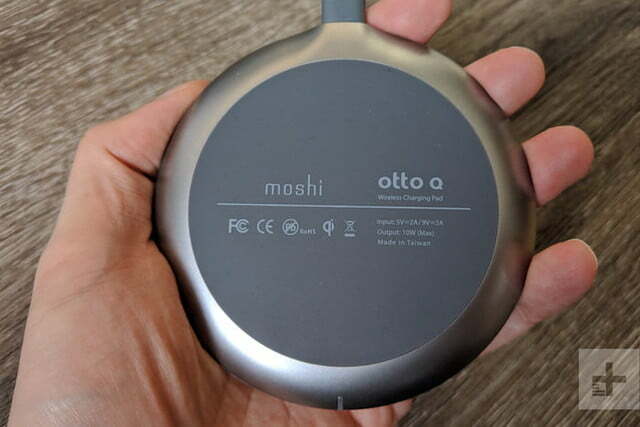 It’s a wireless charging pad that will recharge any device that supports the Qi standard, but it’s also a portable battery pack that can be wirelessly charged itself. As the name would suggest, it looks like a stone. It’s rounded and it’s very portable. There are four padded feet on the bottom that prevent it from slipping on surfaces. When you place your device on it to charge, there’s a loud beep and a blue light comes on to confirm that it’s charging. There are also four green lights to give you an idea of how much power remains in the 4,000mAh internal battery. 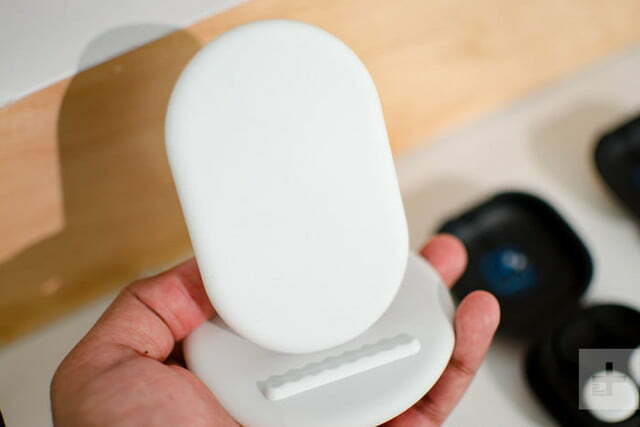 Interestingly, the QiStone can also be charged on a Qi wireless charging pad. There is a standard Micro USB port for charging as well. It can also charge another device while it is being charged, and there’s a USB port to enable wired charging as a backup for devices that don’t support wireless charging. That means you could simultaneously charge two devices with it, though they won’t charge up very quickly. If you want some extra juice on a trip, this is one of the few devices to offer a genuinely wireless solution. The only thing we don’t like about the QiStone is that loud beeping sound to confirm charging has begun when you place a device on it. Considering there’s a blue light to indicate charging, it seems superfluous, and it’s obnoxiously loud. It does also come with a Micro USB to USB cable, but there’s no AC adapter. 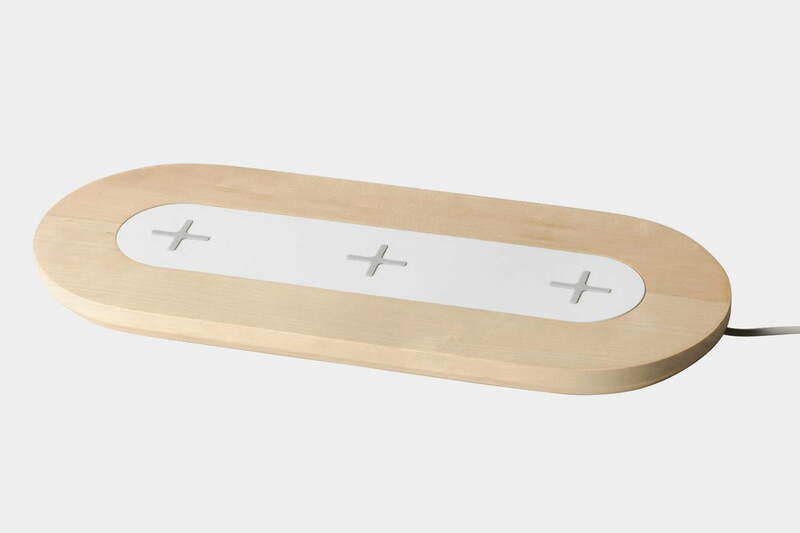 Ultimately, this is a stylish and functional wireless charging solution. We’d suggest pairing it with Fonesalesman’s wired WoodPuck ($30), for use at home and for charging the QiStone up. This is a smart charging pad solution that could serve the whole family, because it has three spots on the top for wireless charging, and an additional USB port in the base for charging with a standard Micro USB-to-USB cable. That means you could charge up to four devices at once. It has a typical Ikea style that’s rounded and unobtrusive, it’s designed to fit in with any décor, and it’s finished in white or birch wood. The spots for charging are marked clearly by plus signs, and as long as you place your device in the middle of one the charging should start fairly quickly. The device is also rubberized for added grip, and it’s quite heavy so it won’t slip. There’s a tiny LED that lights up for three seconds when you first power the pad on. It will stay on when a device is charging and will flash if there is an error. You also get a cable and AC adapter with the pad. The adapter is a pretty bulky, white plastic affair. This is one of the biggest wireless charging pads we’ve seen, so it could prove ideal for busy households with multiple devices to charge. It costs $60, but you can also get a single pad version for $28, which has the USB port output.